Okay, so the future is officially now. Incredible! This ranks right up there with the invention of the polio vaccine and the discovery of DNA! It took a team of 26 top research scientists working long hours for years to successfully put a human brain in a frog that then said “Moses” then died right after. Why the frog mentioned the prophet Moses’ name after the scientists put the human brain into it is unknown by the scientists, but the lead researchers consider the experiment a complete success. Now that scientists have cut open a frog’s head and took out the frog’s brain then put a human brain in where the frog brain used to be and then the frog’s eyes opened and everyone got real quiet and then the frog audibly said “Moses” and everyone in the lab wrote down that the frog had said “Moses” in their notepads then the frog’s eyes closed and its heart stopped and the scientists rushed to resuscitate the frog but the frog had died, a whole new world of medical breakthroughs now seems totally within reach. The brain of a human was transplanted into a frog. The frog’s skull was expanded to accommodate the larger brain, and its body was strengthened to support the weight. 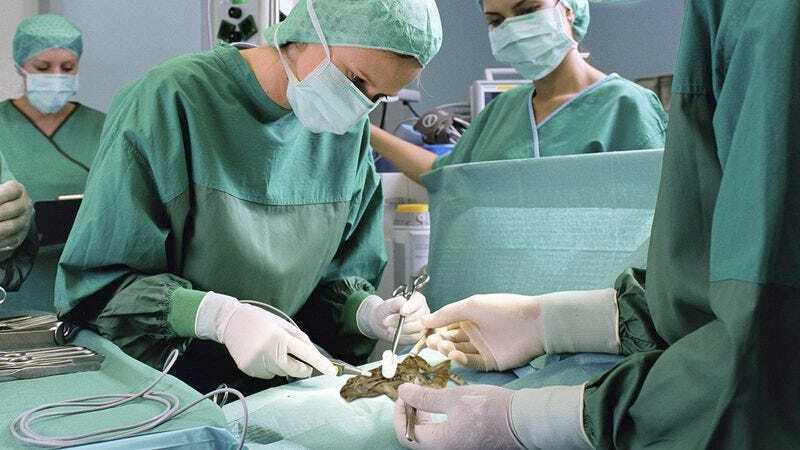 The transplant was successful, with the frog remaining alive for 3 seconds, 2 of which were spent saying “Moses.” The frog’s speech was labored, but it was clear what was being said. The voice resembled that of a preadolescent female. It is assumed the frog was speaking of the biblical figure, as there are no other well-known Moseses. Wow. From here on out, medical science will be split into before a human brain was put in a frog and the frog died but not before the frog said “Moses” and after a human brain was put in a frog and the frog died but not before the frog said “Moses.” Take a moment to let that sink in.